Hello!! 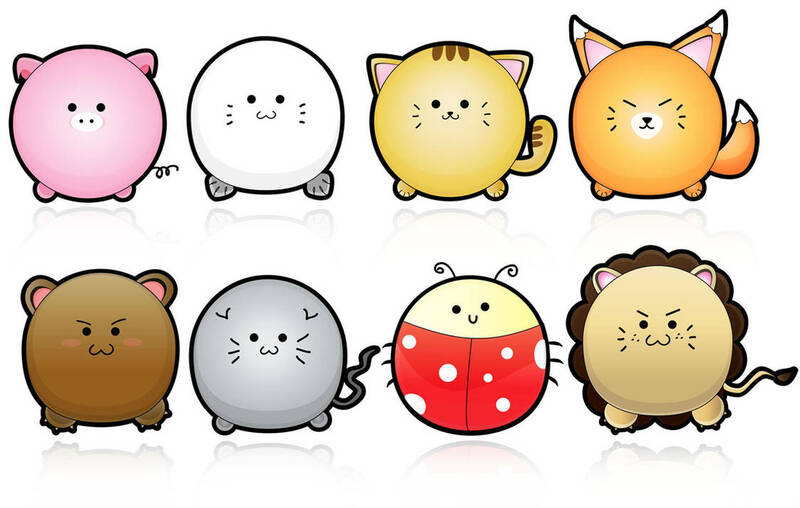 I love these cute chibi animals you created... they are so fluffy!! I used the LADYBUG on my website, please reprimand me if its not okay. I apologize I didn't inform you beforehand, it looks soo amazing. I really like the beetle and would like to use it for my product. Am I allowed to do so? Based on what I see on the comments, it seems that usage is free. I plan to modify it slightly. Let me know. Thanks. Yurike11, how can i edit it? Pls can i have an editable version if you're ok with it? Yurike11, this and the furry characters are adorable. May i turn them into some temp tattos and stickers for sale (a small business project in Oz) and my kids will love them! If i am succesfull, i'll name them after you and show you the end products. Pls let me know if you have any issues or concerns with this? Thank you. Cute ladybug, cute piggy, all sooo cuuutee!! Very cute! I downloaded the piggy one! I'm working for a company developing SmartPhone applications in Korea. while I was studying for developing some applications. And I found out your "Cute Animals Vertor" images are already used for other Android widjets in this website. So I wonder if I can use those images or not. I plan to make a battery widjet for Android cellphone and put it on the Korea android market. I ask for your allowance. I'll appreciate it if you let me use your images. hey i love your art ..can i add u up on msn or yahoo? Cute, downloaded the widgets of them for android too! Aww, thanks a lot for the download. It's not me who create the clock widget in Android market but the artwork is mine. So, still a big thanks to you for downloading them! cute cute cute!!!!!! love it! Oh, actually somebody else took these characters and put them on the android market as clocks. I've no idea about the process, as I don't have android phone either. I just provided the artwork. I'm sorry if I can't help you much. When i download it comes as a pdf, How do i use them, please help. It was in pdf to preserve the editing capabilities. If you have design software, you should be able to convert the pdf into any other format you want. Thanks for the reply. I managed to open the pdf in Inkscape. All is good now. I made analog clocks from the cute animals. Anyway, check out my newest vector characters: Furry Characters. 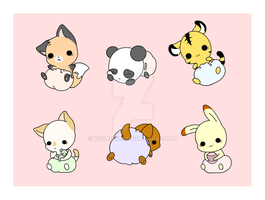 They kinda have the similar style with my cute animals, so you might take an interest to them. Thanks! I like the Furry animals a lot. I have difficulty though opening them in Coreldraw because some transparency on the eyes comes like bubble eyed goldfish. Any chance of sending them as svg to use with Inkscape? I'm glad you like those furry creatures! Some people did complaint about the transparency problem that happened if it's opened with CorelDraw. Yurike11, these are adorable! Thank you so much for sharing them with a Creative Commons license. 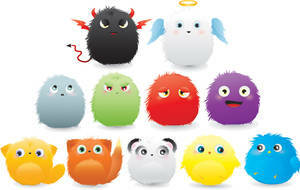 I've just added them to finger puppets at Kazoomzoom.com. May I interview you for artist info? Awww...thank you very much for the compliment! It means a lot to me. So cute. I wanna poke at them lol. I saw these on Vecteezy. Can I use these on a business card? Thank you. Heehee. Yeah, I uploaded them at Vecteezy too. Sure, feel free to use them! I'd love to make a little tutorial about how to create the ladybug (I just noticed that the ladybug is the most popular among all ) but I'm afraid my english isn't proficient enough to do so. My first language isn't english. Perhaps you can help me to do quick proof-read, if you don't mind. I promise it's going to be only a small tutorial. can I eat them... lol. They cute, nice! !